Friendswood Dental Group employs state of the art, digital imaging equipment that allows you to see up close details in real time. We also utilize special imaging software that allows us to show your smile’s potential before and after, prior to starting any dental procedures. Dr. Sierra brings a number of cosmetic dentistry skills, techniques, and technologies to our team for our League City and Friendswood patients. Based on the particular need, we may use some of the following to achieve the desired results: Tooth Whitening, Recountouring, Bonding, Crowns, Veneers, Implants, Bridges, Partials, and Orthodontics. Patients frequently ask, “Will my teeth look fake?” Or, “I have seen people with their teeth capped, and they look terrible.” We also have seen people in public and as new patients in our office, who have obvious, phony looking anterior restorations. Our answer is that you really don’t notice masterfully done anterior esthetic dentistry because it looks completely natural. Esthetic dentistry is the art of making your teeth and smile capable of communicating the look of natural, happy, youthful, vitality. Click here to see our portfolio! Veneers are essentially hybrid porcelain crowns covering only the front and some of the sides of anterior teeth. Often, there is very little difference between where a veneer ends and a crown starts. Veneers tend to be more conservative of tooth structure and are used where appropriate, especially in younger patients where the pulp (nerve) is still very large. Veneers are excellent for making crooked teeth appear straight, to whiten teeth, and to close spaces between teeth. The Lumineers brand of dental restorations offer results similar to porcelain veneers while preserving even more healthy dental structure. Lumineers are extremely thin, and in most cases, it’s not necessary for us to remove any healthy surface enamel prior to treatment. Instead, Lumineers are carefully positioned and shaped to blend seamlessly within the natural smile line while concealing and correcting any number of irregularities including chips, cracks, gaps, and stains. In most cases, these treatments are also reversible if patients change their mind following treatment. Gold and porcelain bonded to metal crowns and other restorations offer durable and effective smile repair, but even the porcelain restorations appear dark or discolored within the smile as the porcelain wears away revealing the metal below. E-max all ceramic crowns are crafted from a single block of high quality ceramic, which means even after years of daily wear, these restorations retain their natural appearance. Porcelain and ceramic restorations look natural within smiles, but they also wear away healthy enamel more quickly than natural dental structures or gold crowns. For those patients interested in finding the happy medium between the two options, zirconia crowns may be the best option. Zirconia crowns are able to be shaded to match natural tooth enamel fairly closely, and they offer reduced dental wear compared with ceramics. The most conservative option for correcting minor flaws or staining is cosmetic bonding. Using the same quality composite resin material we use to complete tooth-colored fillings, we’re able to fix chips, cracks, and gaps in smiles and conceal stains in just one appointment with minimal impact on healthy dental structure. The bonding material is shaded to match patients’ natural enamel, applied carefully to the surface of teeth, shaped, and hardened into position. For many patients who wish to make a number of minor corrections, direct bonding is a quick, cost effective cosmetic solution. Depending on patient need and preference, we offer both in-office and take-home whitening. These professional-grade whitening products are able to brighten teeth up to ten shades in most cases. In-practice whitening typically takes about an hour, and patients see results immediately. However, this option may not be right for those patients who experience dental sensitivity. At-home whitening is a great option for those who would like to achieve their desired results more gradually and those with sensitive teeth or gums. Take-home whitening kits offer the same dramatic results possible with in-office whitening over the course of several weeks of daily application. 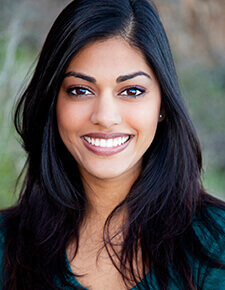 Many patients come to us unhappy with one or more aspect of their smiles but not sure where to begin making changes. We’re happy to help. Using digital photography and our virtual smile design software, we take photos of patients’ current smiles and show them the potential results of any number of treatment options. Best of all, we’re happy to share the images with patients who can take them to friends and family for feedback.